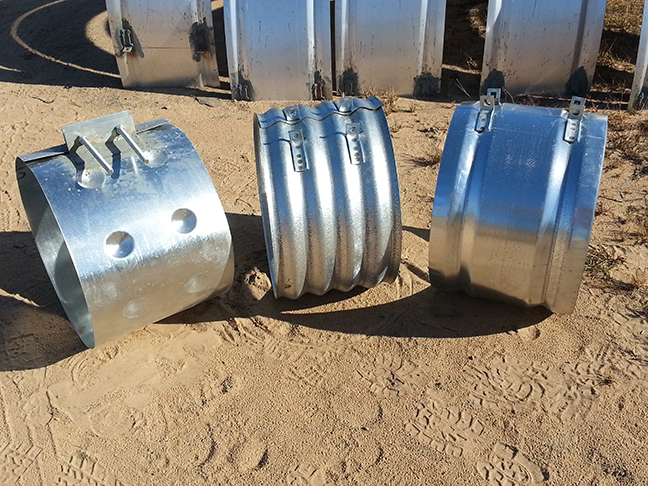 Connections for corrugated metal pipe come in a variety of configurations. All provide a positive joint to prevent displacement or misalignment due to shifting soils or traverse earth pressures. Neoprene sleeve gaskets or o-ring gaskets may be utilized under any type of coupling to provide watertight connections. Connecting bands are available in galvanized steel, aluminized steel, solid aluminum and polymer coated galvanized steel. Additional connections are available for slipline projects or other special applications. Contact your Cherokee Culvert sales representative for specific information.